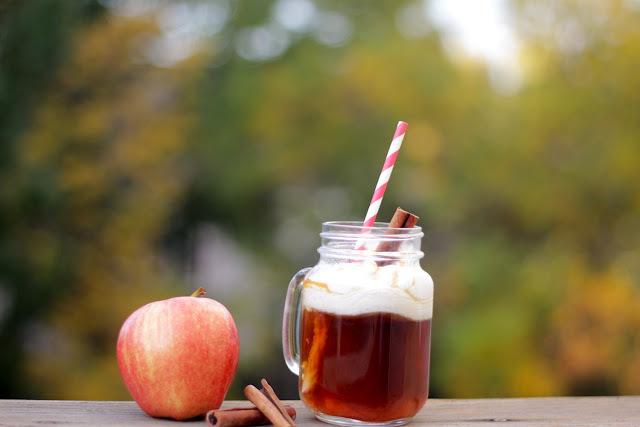 I've been trying all of these recipes for hot apple cider that I've seen on miscellaneous blogs and while perusing pinterest. SO far, all of them have let me down. I am, however, still a big fan of the Red Hot version. In one of them, it called for ground cinnamon and well, it looked absolutely disgusting in the bottom of our cast iron pot because it didn't dissolve. In another, it called for too many spices and it was kind of spicy & not what I had hoped for. It just seemed like the author was "trying too hard" to make it gourmet and the flavors didn't really mesh.. at least to my palette. In yet another, it was too dang sweet. That's saying something for this sweet-toothed gal. Solution: Don't add caramel, except for as topping. 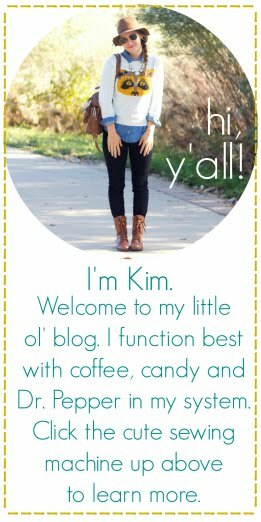 Anyhow, I think I finally came up with one that I love even better than Starbucks' Caramel Apple Spice (gasp!). Are you ready for how easy this is? This makes 1 large serving. 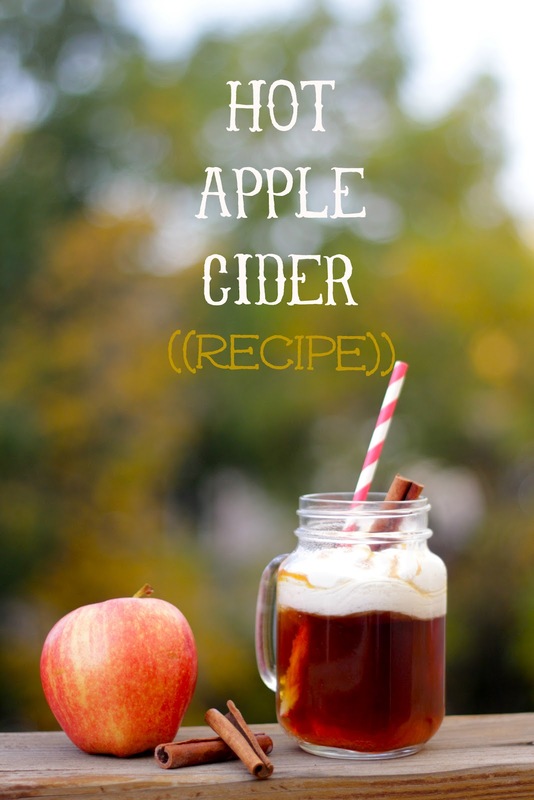 At this point, I was running out of the Apple Cider base and that's all I had left, so feel free to double or triple the recipe as you like! 1. Place all ingredients (besides whipped cream and caramel) in a small pot on the stovetop. 2. Stir & let simmer for 20 minutes & up to an hour or so to let flavors combine. 3. Serve topped with whipped cream or just drizzle some caramel on top. It's a perfect beverage for a cold & cozy afternoon. YUM! 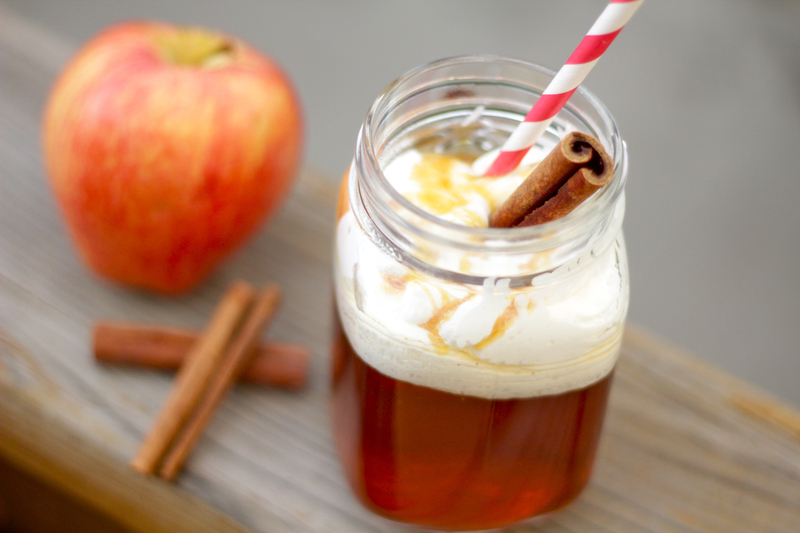 I LOVE hot apple cider. Its like you read my mind!! Can't wait to try! That looks so good! Have you tried making it in the crockpot? It's super simple - toss everything in and set it to low for a few hours. Bonus - the house smells great while it's doing it's thing, and you can easily make enough for everyone! This is so perfect! I can't wait to try it...off to the store I go! I am totally unfamiliar with the syrup.... Would I find it with maple and pancake syrups??? There are usually tiny bottles of it at the grocery store in the coffee aisle. I buy mine at world market back in the tea/coffee section. It's almost always on the far back wall. Hope that helps! I know exactly what I'm going to be craving for an afternoon pick me up! If your interested in knowing how starbucks makes theirs, they combine cinnamon dolce syrup and apple cider then top with whipped cream and caramel sauce. You can buy a large bottle of cinnamon dolce at Starbucks for around $7. >>>in case you can't find the brown sugar and cinnamon syrup. this wasn't really intended to be a starbucks knock off beverage. i was going for my own flavor :) the brown sugar and cinnamon syrup should be super easy to find at any world market or on torani's website. Quick Shortcut Maker splashthat.com/ App is readily available Website on the Google Play Store. QuickShortcutMaker App All Version Free Download for Android,iphone You can additionally download it from Quick Shortcut Maker other third-party sites and also install it yourselves. QuickShortcutMaker Regardless of how you obtain the application. If you are already accustomed to frp bypass apk the term factory reset, you may have identified what FRP is Manufacturing Get Info facility Reset protection keeps your frp bypass download data risk-free in instance your tool gets taken. Are you have HP printer and its working good but sometimes its having some issues like you are Hassling with your error code of printer and its error may be like 5400 and other so in this condition you can visit this third-party service of HP and you can easily solve your issue and get instant solution as you need HP Printer in error state windows 10 You can dial our toll-free number which will be free this number is 1-800-764-852 or else you can visit our website. If we are talking about the Telstra big pond then this is so amazing service for internet you can chose following data plans with the help of this. And if you already user of Telstra big pond and having any types of issues then you can visit us because we have all types of solutions step by step as your need. And you can dial our toll free number 1-800-789-560.